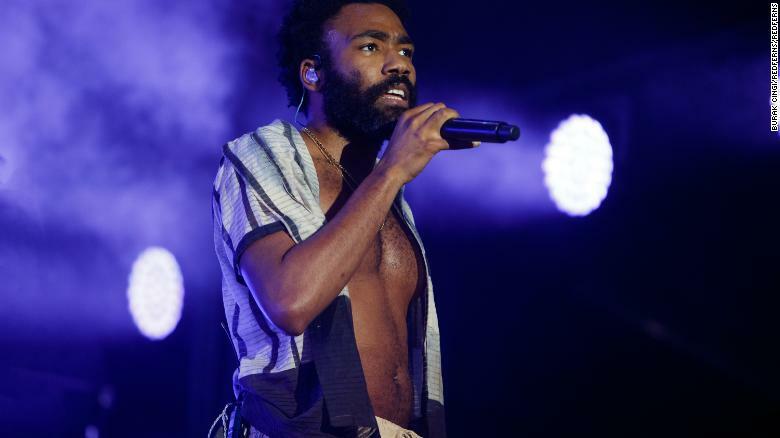 Childish Gambino’s “This Is America” won Grammys for song and record of the year on Sunday, becoming the first rap song to win the prestigious awards.The artist — also known as the mutitalented Donald Glover — did not attend the event and reportedly declined an invitation to perform at the Grammys.”This Is America” beat out “Shallow,” “God’s Plan” and other big hits. The Grammy for song of the year honors song writers, while record of the year goes to the recording artist. Childish Gambino performing at Lovebox festival at Gunnersbury Park on July 14, 2018 in London, England.The song caused a stir last May when Gambino released its ambitious video, which was full of racial symbolism. The Recording Academy has made an effort to diversify its membership amid complaints the Grammys have frequently failed to recognize rap and hip-hop artists in the major categories.Earlier this week in an interview with the New York Times, longtime Grammy producer Ken Ehrlich acknowledged, “We continue to have a problem in the hip-hop world.”It’s unclear if Childish Gambino’s wins on Sunday change that.